For most of us Christmas is a celebration of peace, love, family, and the return of longer days. It's sacred and secular with a mix of mythologies from the baby Jesus and the wise men to Santa and his elves. On December 25 we gather with loved ones to share food and gifts as we prepare for the end of one year and the beginning of the next. 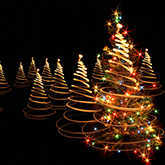 Look into that next year now with your personalized 1-Year Astrology Forecast, then read on for the Astrology of Christmas Day, 2013. Christmas always occurs with the Sun in orderly Capricorn, a zodiac sign of ambition and accomplishment that doesn't seem like a perfect fit with this spiritual occasion. However, following the rules and sticking to tradition are ways in which we reaffirm the continuity of life. Unfortunately, the stability that Christmas represents and the harmony we seek may be hard to come by this year. The first couple of items on the astrological agenda seem to be supportive of the Christmas spirit. On December 24, 2013, the Sun's smooth sextile with sensitive and compassionate Neptune signifies faith, forgiveness and imagination. The favorable solar connection to this spiritual planet is excellent for tuning into the higher purpose of the holiday and, perhaps, setting aside some of the gift greed that infects certain people. Donating to a charity instead of buying Uncle Bob another tie he'll never wear is a wise way to use this transit. The fast-moving Moon sets the mood with its presence in peaceable Libra on December 25, Christmas Day. The sign of the Scales is concerned with caring for others, creating harmony and joining in shared experiences. So far so good. Yet the accommodating behavior and people skills of the Libra Moon may be hard to come by on what could be an upsetting day. It's best to suspend the rules, lower expectations, and develop some flexibility to deal with more than a couple of surprises. The Libra Moon forms aspects with five planets on December 25, each of which appears to be challenging. In general, these add tension to the day as the normally agreeable Libra nature can be undermined by misunderstandings, power struggles and conflict. The air may be crackling with tension at a time when we'd like to relax and enjoy the company of those dearest to us. Even the mildest individuals may be touched by a less than cooperative spirit that could take some of the joy out of the occasion. While Libra is about meeting others halfway, challenging 90-degree squares from the Moon to communicative Mercury, the willful Sun, and provocative Pluto in Capricorn could trigger more controlling and competitive instincts. We may react strongly to any attempts to dictate our behavior regardless of how gently we are instructed or led. One way to reduce the likelihood of resentment is to be attentive to the sensitivities of others and be more flexible in our own responses. If you feel the emotional temperature rising, take a breath and step back for a moment to calm down and restore inner balance before reacting. It's also helpful to remember that insecurity can provoke impatience or impolite behavior so we can reduce stress with understanding instead of increasing it with confrontation. In addition to the complexities of controlling relationships and over-reactive responses, there is a day-long astrological influence that increases our urges for independence and originality. Assertive Mars' stressful square with impulsive Uranus on Christmas Day zaps us with restlessness and rebelliousness that can be very unsettling. We're naturally disinclined to follow the rules, stick to plans, or maintain the traditional roles and activities of the holiday. It might not take much to trigger an explosive reaction to even a simple request. Experimenting with how we celebrate is a way to reduce this stress and modernize the holiday. 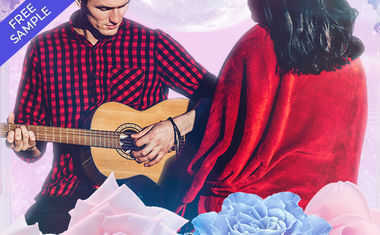 Letting go of some family rituals and trying out some new ones provides the surprises and stimulation needed to match this easily bored Mars-Uranus connection. Those who rigidly stick to protocol and want only to follow the routines of Christmases past may be in for an uneasy holiday. It's wiser to change some patterns than to compel restless individuals to do things exactly as they have been done before. The silver lining in this stormy story is that we are all being offered the gift of freedom. Breaking away from external limits and internal rules isn't necessarily the road to destruction; it's about blasting open a highway to creativity, innovation and adventure. Looking deeply into our hearts will reveal a new guiding star, a spirit of liberation and freshness that leads to a new world of possibilities. The way to tap into these personal powers is to recognize that rebelling against others is not going to be as successful as starting an inner revolution. We don't turn on the light switch of awareness by pushing away people but by engaging more deeply and truthfully with ourselves. Recognizing which of our own rules, restrictions, limiting thoughts and self-assessments are powerful steps toward eliminating them, which is a great gift to all of us.